Welcome to the Damask Divas’ Blog Hop!! If you’ve come from Felica Tortorici’s blog you are in the right place! If you’ve jumped here I encourage you to head over to the Damask Divas’ blog to see the full list of participants and to view all of their creations featuring Timberline! 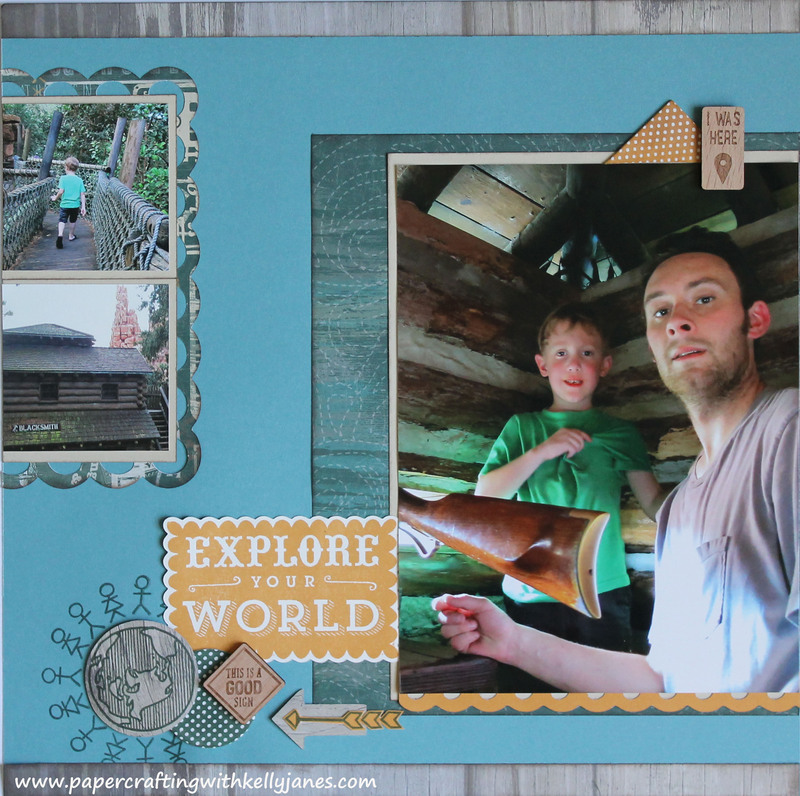 As I was getting ready for this blog hop, I knew I wanted to use the Timberline Workshop On The Go™ Scrapbooking Kit for my project. Every WOTG Kits comes with a recipe guide that gives you detailed instructions on how to create (4) 12″x12″ scrapbook layouts. 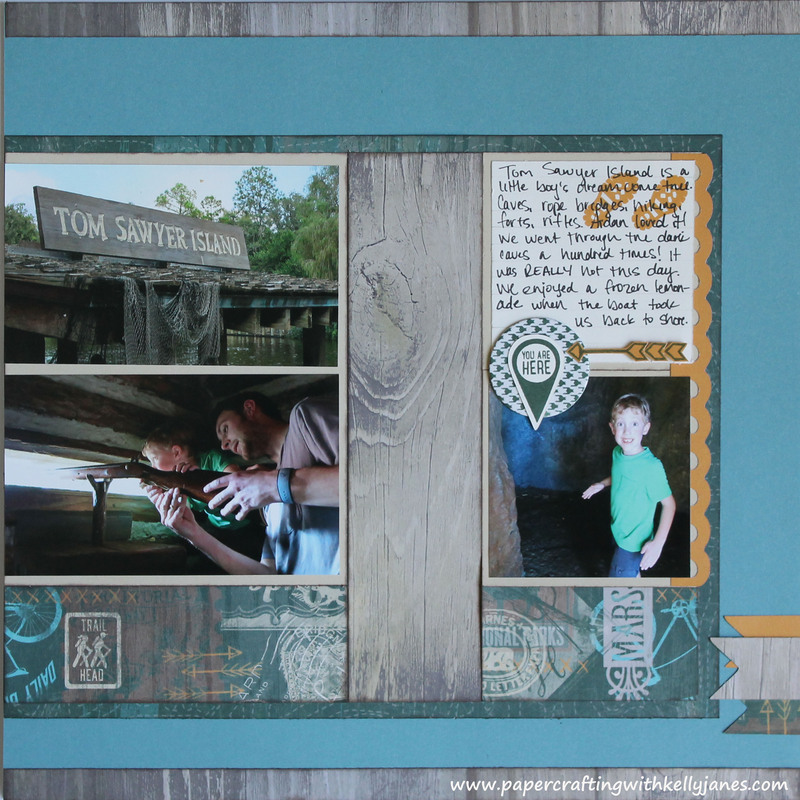 I typically like think outside the box and create my own scrapbook pages, but I LOVED the layout design that was included in this kit!! I followed it almost to a “T”!! BUT THERE WAS ONE PROBLEM….the layout on the recipe guide appears to be designed for camping pictures. I am not a camper, so I have no such pictures! Then I remembered our most recent Disney vacation and my photos from Tom Sawyer Island would fit into this theme pretty well! So that is what I’m going with, and here is the finished product! #1-I love the look of typed text, but I really prefer for my journaling to be handwritten. When I look at my grandmother’s pictures I love to see the handwriting on the back of the photos or in the photo books. There is just something special about seeing handwriting from generations past! I used a Versamat™, Ruler, and a pencil to create lines on the Colonial White Cardstock to help my handwriting be straight. Once it was written I simply went back through an erased the pencil lines. With all of the embellishments/accents that surround the journaling block I added my journaling last. I wanted to be sure that I wasn’t writing in an area where an embellishment would lay. #2- Liquid Glass was the best adhesive I found to adhere the Irresistables™ Frames & the wood veneer accents. #3-The triangle Irresistables™ shape on the first layout started out as a square. Rather than tucking the other half of the square underneath my photo to create the appearance of a triangle I used a Craft Knife & Versamat™ to cut the Irresistables™ Frame down to the size & shape I wanted for my layout . #4- I used Washi Tape to temporarily hold down the earth stamped image while stamping the boy/girl symbols. After the boy/girl symbols were stamped I was able to layer all of the accents, embellishments, and adhere the woodgrain B&T Duo. Close To My Heart’s founder and CEO, Jeanette Lynton, is celebrating her 30 year anniversary in the scrapbooking industry!! That is amazing, and she is celebrating this very special occasion with YOU!! During the month of June when you place a qualifying order of $50 (excluding tax and shipping), you can add your choice of 1 of 6 great gift collections to your order for just $30! Each collection has an original retail value of at least $50—some even as high as $65! 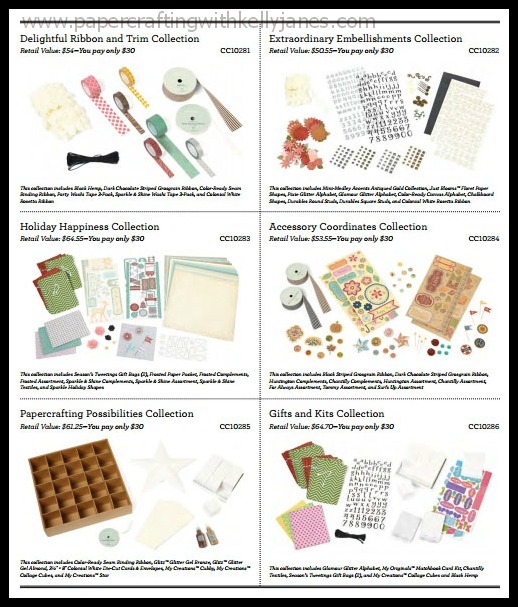 Below is a glimpse at the collections that are available! This is a while supplies last offer, so don’t miss out!!! Click here to shop now!! 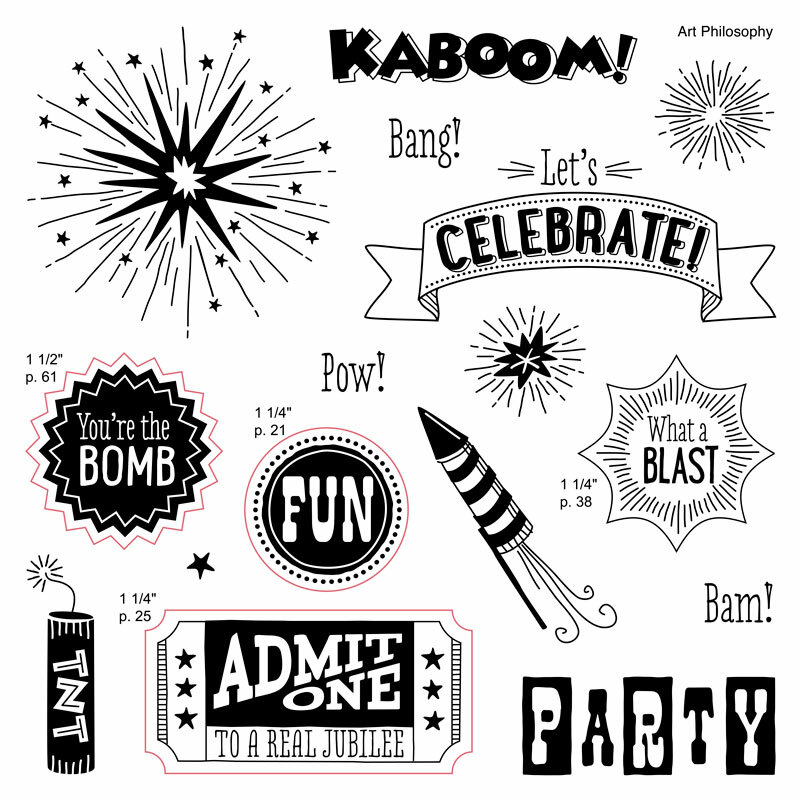 Now onto the NEW Stamp Of The Month, Kaboom! As always the SOTM is available to purchase for only $5 with a qualifying purchase of $50 or you can purchase it for it’s full retail value of $17.95. Thank you for hopping along with the Damask Divas on our Timberline Blog Hop! Your next stop is Hillary Harris!! Remember if you get lost along the way you can always head over to the Damask Divas’ Blog for a full list of participants! Love your layout! This paper pack is awesome. Can’t wait to use it! Love the tips and the accents you used! Love it! Thank you so much, Tammy! This paper packet is awesome!!! I have so many fun ideas that I had to buy an extra!! LOL!! Awesome layout! Love the Tips and tricks! What great ideas! I also love to put hand writing on most layouts! Love the accents! Great job!! !